17% are actively disengaged or in a coma, contributing nothing and being kept alive by the system. 70% are not engaged, they’re like zombies mindlessly sleep walking through their careers doing OK but not great. 13% are awake at work, or engaged, loving their work and achieving great success. You’ve been sleep walking through your career for so long that you’ve actually fallen into a coma. That means you’re no longer even trying to pretend you care. The only way you can cope is by getting angry, being anxious or turning to an addiction to get you through. You’ve been relying on coping mechanisms for so long that you’ve probably left behind the socially acceptable addictions like shopping or sugar and moved onto the more serious ones … alcohol, drugs, gambling. Maybe your anger or anxiety are getting out of control and threatening your career. I’ll bet your relationships are in a coma too if you even still have any. People are probably sick of listening to you complain about your career. As for your career, I’ll bet your missing out on promotions or about to be put on a performance management program if you haven’t already. I used to work in HR and I’ve seen what happens when you start down that path. Rarely does it end well. You definitely aren’t watching out for the signs that your career is in danger from technology, government legislation or changing consumer spending patterns. You are in serious danger of falling victim to redundancy, retrenchment or irrelevance. Harsh I know, but you need to hear the truth. The Black Dog Institute reports that 8 Australians die by their own hand each day and another 30 attempt suicide, with 20 per cent directly linked to their work. That means every day 2 people are taking their life and 6 people are attempting to take their life because they hate their career. Beyond Blue says one in five Australians have taken time off work in the last year because they felt stressed, anxious or depressed. Those comments about “taking a mental health day” are no longer a joke. The European Journal of Epidemiology found the risk of having a heart attack is 20 percent higher on a Monday. You don’t need a medical degree to know why. Maybe you’re already taking medication to help you cope. You’d be surprised how many people think that’s normal. It’s not! The recent rise in health issues like these signal that we’re doing something wrong. It’s not too late to wake up and turn your dream career into reality. 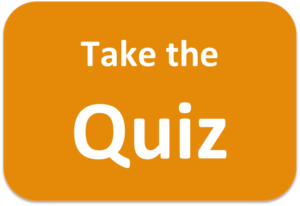 You’ve already taken the first step by doing this quiz. That’s more than most people in your situation even bother to do. Don’t leave it until it’s too late and someone turns off your life support. Now is the time to take the next step by signing up to the Dream Career Program!